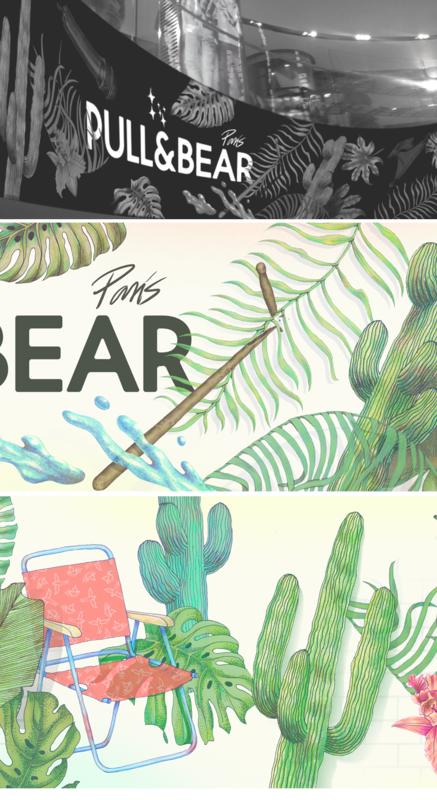 We had the chance to take part on the Pull amd Bear new store opening on Citadium Paris. 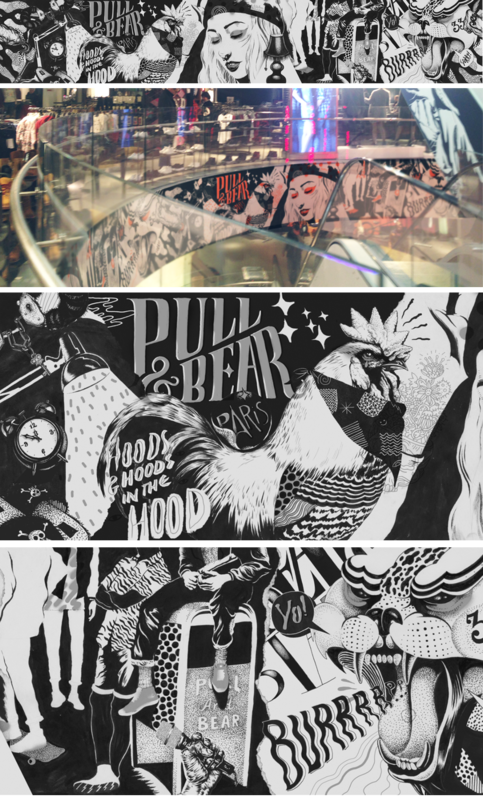 Our part was to create the decoration placed on stairs store. So we worked in two ways: the first one more street and agreesive in Black/white and the second related to summer, water, cactus and wind. finally the cactus option was approved.